Withindia Building Solutions is a developer and supplier of innovative and sustainable magnesium oxide construction solutions. Furthermore we worked one and a half year on achieving CE-Certification for its core product: SINH™ board. Perhaps you might think: That takes long! Can’t CE Certification go any faster? But I’m afraid you have to count on this kind of time laps if you want to introduce a new construction material on the European market. Particularly if you are busy with all other daily company activities. Therefore I want to take you step by step into “my journey” of CE certification. De base for CE-certification are the documents ETAG 18-1 (type 2, fire proof products for vertical walls) and ETAG 18-4 (type Z2, indoor use). The second step was to develop an European Assessment Document (EAD). We started this process in Augustus 2015 and its conclusion came in May 2016. We needed more than 70 tests in different labs to realize the EAD document. These results are registered in the EAD. The third step was Factory Production Control (FPC) by KIWA at our Chinese partner. For that the first audit took place in June. Subsequently not every detail was in order and a follow up audit became necessary. This follow up audit was executed by Skype connection. A novelty for everyone. We walked through the entire production chain in China during the live connection. In practice we showed that a Skype audit works perfect, on the condition that all basic conditions are met. (like a visit at manufacturing site). All persons concerned worked in a constructive way together to meet the final result. In the end a GO for certification was given by the auditors. During the audit the open mind of KIWA regarding the use of modern communication methods has had a substantial impact on achieving this result in a reasonably short time. Our company received the CE-certificate including DoP (Declaration of Performance) on the 1st of October of 2016 of KIWA. Summarized: An excellent job! 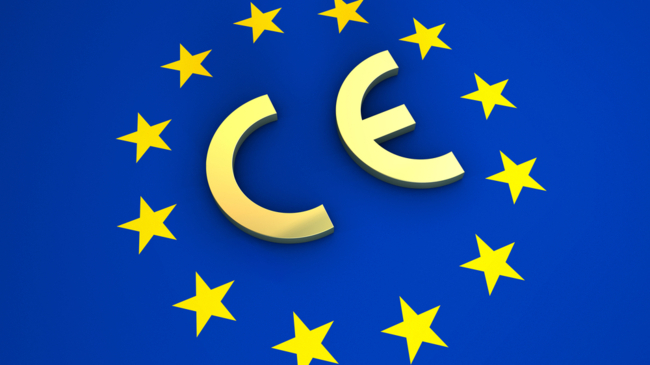 The entire process took us one and a half year to achieve the CE Certifacation. It was a period of “blood, sweat and tears”. The whole path took very long and was very expensive. But why can I recommend you this process? Not only because you comply with regulations, but also going this path will increase the quality and consistency of your final product and satisfied customers. You are in fact forced to come down to the level of operational instructions, and to describe these in your new quality management system. I can hear you saying: once you received CE Certification you can sit and lean back on your chair… Well, let me tell you: it will be the opposite! From now on you are committed to manage high product requirements and the process to achieve it. Personally this is not my favourite project, but on the other hand it has been very useful and a blessing for the final result of our company! Therefore I’m curious about what you think. Could you tell me more about your experience? Or do you have any questions? Please, let us know! Opinion: Jan Engels, CEO Withindia Building Solutions.